Like almost everyone else these days, you’re immersed in data but not all of it is useful. For an analytics solution to benefit your e-commerce site, it needs to deliver actionable data that you can use to trace the paths your users take when moving towards the goals you set for them. It also should supply you with information about where things go wrong in the sales funnel, so you can figure out what needs to be fixed and how to go about fixing it. Those are the things we’ll show you in this post, so that you can save time and use the right data to draw the right conclusions quicker than the competition. Now let’s take a brief look at the e-commerce data that Piwik PRO provides and how it can get you closer to your business’s goals. 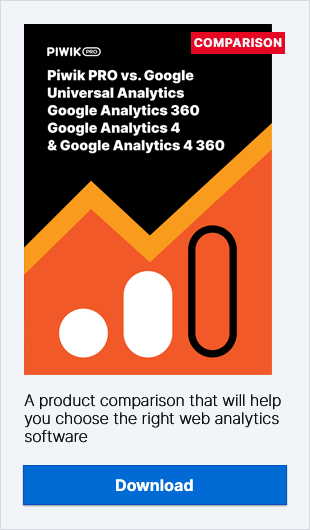 You can also check out our E-Commerce Analytics User Guide. Make visitor data more useful and get comprehensive insights by assigning $ values to each traffic source, page, piece of content, etc. Understand the real worth of each conversion on your website, calculate CPA and develop optimized up-selling and cross-selling strategies. Do something about lost revenue and lost customers by getting clear, actionable metrics on KPIs describing the condition of your sales funnel. Develop in-depth profiles of individual users who buy your products to better understand who your customers are and the context they do their shopping in. Refine the sales funnel and boost conversions by tracing the steps taken around your website by customers. Record the number of days and visits before users convert into customers, as well as the pages they visit along the way. Save money by quickly identifying which products are most frequently abandoned in the shopping cart and refine your product offer to give customers the choices they want. Of course, there are other reports which you can generate using Piwik PRO to drill deeper into your analytics data and map out a strategy for increasing turnover and pumping profits. Poke around and get a feel for how to learn more about your online business.